One of the photos from last week when I got stuck in the elevator on my way to work. I was very glad that I had my camera in the bag as I spent almost an hour waiting to get out. I'm not quite sure what I am looking at. 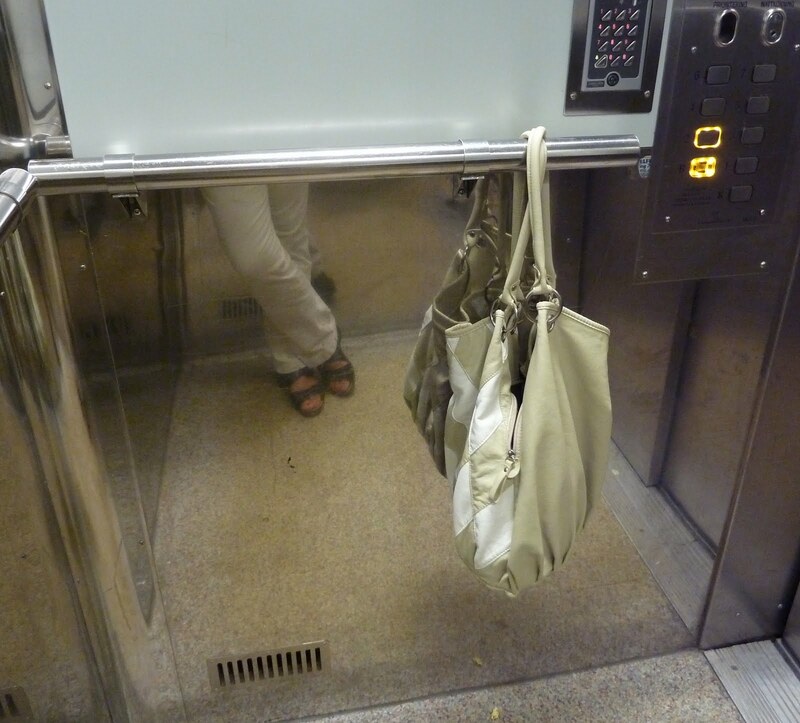 I'm glad, though, that you look at being stuck in the elevator in a positive way! Interesting point of view, both figuratively and literally. I so hope that this will never happen to me. I'd go spare. Actually a good reason to take the stairs, however many there are. Original this picture! it could not be taken otherwise! "Life instant" I like this ! Very interesting photo! Too bad you had to be in there so long. At least you had a way to entertain yourself! Oh my gosh! Who finally rescued you and how? I like the reflection of your legs. You do look rather calm. What a story you have to tell! Great way to use your time! And a nice vision of the theme! Wonderful Use of Dead Time.